Karaoke has had a bit of a resurrection in the last six months thanks to the fact that hipsters and media types seem to delight in performing post-ironic covers of their favorite &apos;90s ballads on weekend nights. (The success of The Voice and American Idol doesn&apos;t hurt either.) 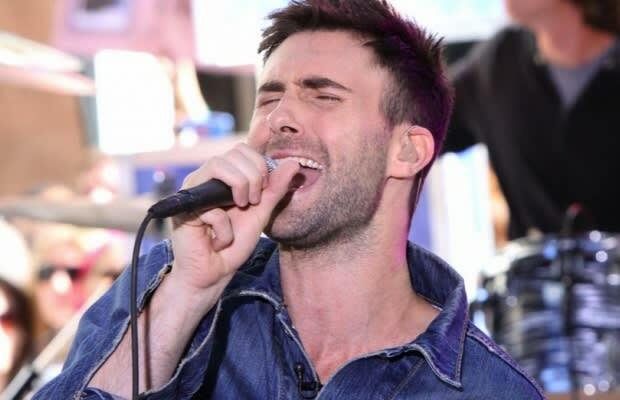 Now, it appears this fad may have run its course: NBC is developing a karaoke comedy with Maroon 5 lead singer Adam Levine producing. The show, which also has Bad Teacher director Jake Kasdan attached as an executive producer alongside Levine, will focus on a group of friends who convene at a karaoke bar for laughs and music. (Presumably.) Deadline reveals that the untitled series was the focus of a big bidding war between three networks because of its comedy and music pair-up, but that NBC pulled ahead thanks to its relationship with Levine on The Voice. Is this the end of karaoke? It might be; just don&apos;t tell your hipster best friends.